FOS (Financial Ombudsmen Service) is the leading External Dispute Resolution organisation for financial advisers and, after 30 June 2016, accountants authorised to provide advice after the accounting exemption expires. They have provided commentary on providing personal financial advice to retail clients to ensure they avoid disputes arising. FOS relies on evidence provided by the parties to a dispute. Documents created at the same time as the activity or advice in question are usually given more weight than later recollections of what was said or done. This means contemporaneous file notes of conversations and actions are solid gold when a dispute comes to us. Whenever possible, confirm verbal instructions from a client in writing (e.g. send them an email after a telephone conversation confirming what was said). Statement of Advice and file notes should detail how any conflicts between goals, available resources and willingness to take risk are resolved. Fwgs solution – our software builds in the headings and automatically includes the key dates. If your licensing solution does not include software then the likelihood of breaching is very high. We do not consider client objectives and instructions written in industry terms that few clients would understand to be a reliable record. Write down a client’s objectives in the words the client has used in answering your questions about their objectives and how to quantify those objectives. This demonstrates that you have heard and understood the client’s goals in seeking advice – e.g. ‘to retire at age 65 with an income of $50,000 per year’. Detail how the strategy you are recommending will achieve the client’s goals. If your services are not suited to a particular client (e.g. they are seeking advice about direct shares and you don’t provide that service), you must tell them so and send them away. Don’t try to shape the client to your offering. 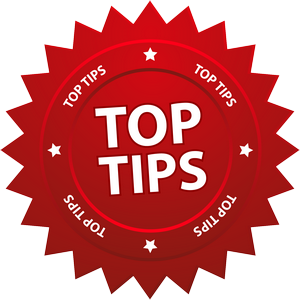 If a client is seeking a return which does not match their risk profile and you can’t convince them to change their expectations, either send them away or see tip 4. Fwgs solution – refer your client to our fully authorised team and you will receive a rebate of your licensing fees with appropriate disclosures included in the Statement of Advice. Finance Wise Global Securities Pty Ltd has a unique solution for accountants requiring an authority to advise on SMSF’s once the accounting exemption expires please email the team at info@fwgs.net.au to find out more. We also conduct face-to-face RG146 training! Register your interest today. Source: SMSF Adviser Sept 9, 2015.